For classic character in a beautiful heritage setting you can’t go past a wedding at the QVB Tea Room. 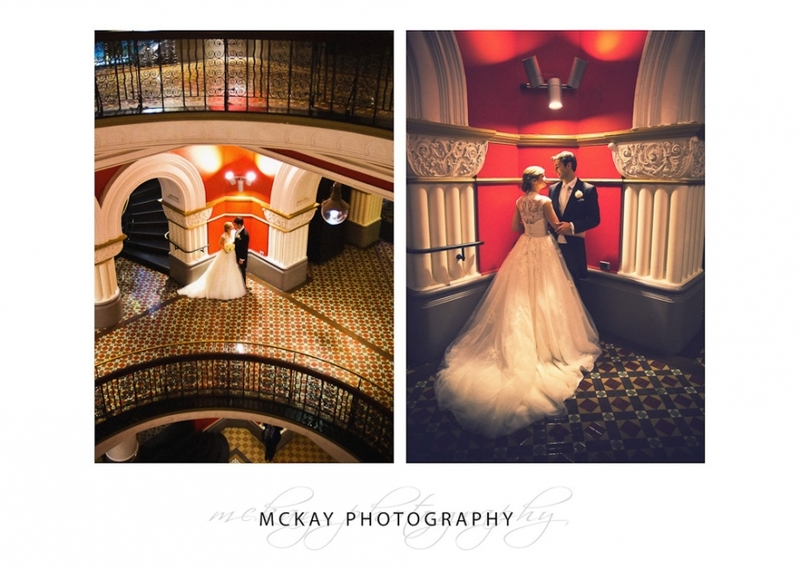 Located on the top floor of the QVB building right in Sydney’s CBD it’s a one of a kind wedding venue perfect for elegant and formal weddings. The main room is a stunning for it’s size and intricate ceiling detail, and the most AMAZING chandelier. Originally a ball room it has a grand sense of elegance and old world charm, just perfect for a wedding. For photo locations there are all the options of Sydney city, from Hyde Park, the Rocks area, the Botanic Gardens, and of course the QVB Building itself. Night shots can be done inside the QVB to take advantage of the amazing archiatecture of the beautiful old building. And it’s the perfect place for wet weather too! 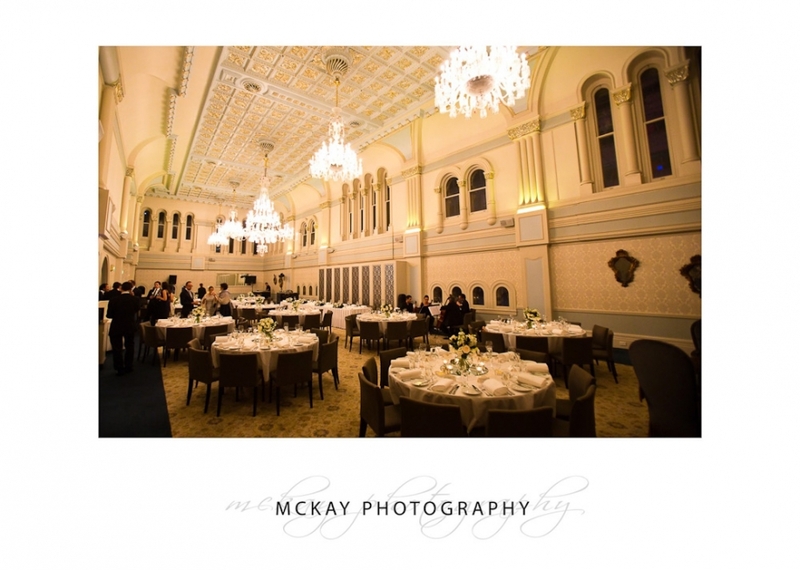 You can hold a wedding ceremony inside at QVB Tea Rooms and the room with it’s amazingly high ceilings looks spectacular. 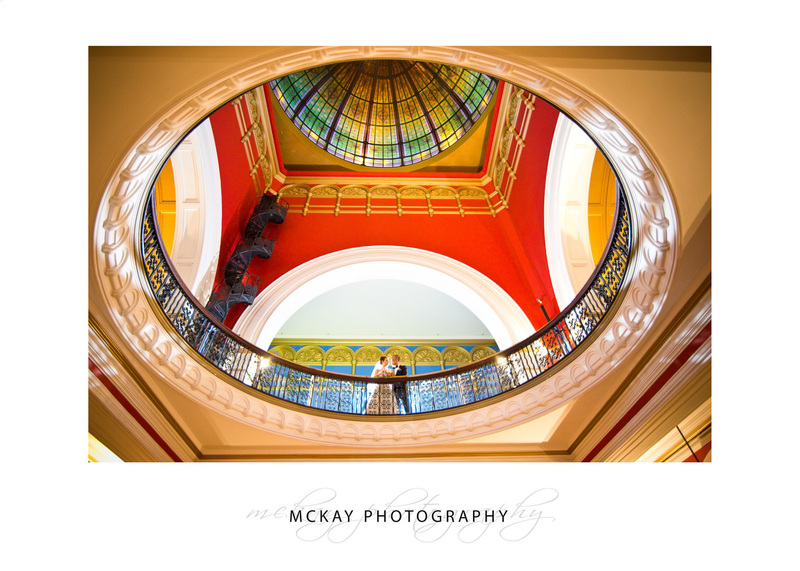 Guests can then mingle and have drinks while you take bridal party photos around the QVB.